Good man, if a man was physically disabled, perhaps lacking an eye, a hand, or a leg, he might feel so ashamed of his condition that he would not let others see him. And because others did not see him they would speak of him as being hidden. But tathāgatas are not like that. The true-dharma they possess is complete, with nothing lacking, and they enable people to see it. Indeed, how could it be appropriate to say that tathāgatas conceal things? Thus, in order to understand the Real Nature of the Tathagata one needs to transcend all nominalized categories and begin to SEE with the Eyes of Liberation, of which the Mahāparinirvāṇasūtra is the Root-Source of such a Dharmatic-Realization. This, therefore, I call mahāparinirvāṇa. The name mahāparinirvāṇa refers to a “place of liberation,” for it is in those places where living beings struggle with self-discipline that the Tathāgata appears. Because of how truly profound this meaning is, it is called mahāparinirvāṇa. World-Honored One, I beseech you. Please take pity on our situation and provide us with more detail on the practices leading to mahāparinirvāṇa and the meaning of liberation. Excellent, excellent! Good man, true liberation is what I call “complete freedom from all restrictions.” As true liberation is free from restrictions, it means there is no birth and no conjoining of things. Take the example of a father and mother who conjoin to give birth to a child—that is not what true liberation is like. True liberation is the Tathāgata himself. 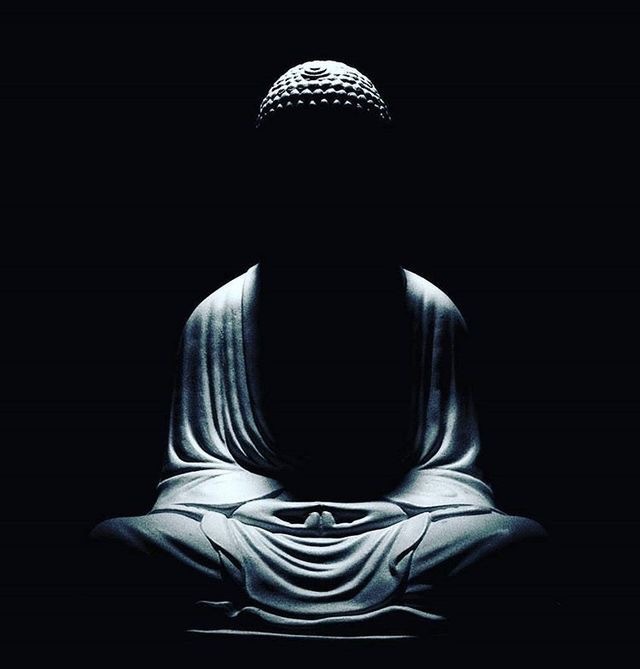 In addition, I speak of liberation as “nothingness.” Nothingness is precisely what liberation is, liberation is precisely what the Tathāgata is, and the Tathāgata is precisely what nothingness is. It is neither doing nor deed. This is NOT a nihilistic statement—it simply means “doing-nothing”. In addition, liberation is an uncreated dharma. True liberation neither comes into existence nor goes out of existence. Therefore liberation is precisely what the Tathāgata is. For the Tathāgata is just like this: he does not come into existence, he does not go out of existence, he does not age, he does not die, he does not break, he does not disintegrate—he is not a created dharma. It is in this sense that I say “the Tathāgata enters mahāparinirvāṇa.” What do I mean by “he does not age, he does not die”? Aging itself we can say means “to undergo change,” such as one’s hair turning white or one’s face becoming wrinkled. Dying is when the body disintegrates and life ends. There are no dharmas like that in liberation; in fact, it is because these things are absent that it is called “liberation.” A Tathāgata also has no created dharmas that would cause his hair to become white or his face to become wrinkled. For this reason there is no aging in the Tathāgata and because there is no aging, there is no death. The absence of any disease, now that is true liberation. The Tathāgata is without disease, for the dharma body can have no disease. That is why I say the Tathāgata is pure, immaculate. In liberation there is no conflict. All vexations of the troubled mind cessate in Nirvanic Liberation. Liberation is what I call “quiescence.” True quiescence is ultimate liberation, and ultimate liberation is precisely what the Tathāgata is. Nothing can equal it in the created order. Liberation as “devoid of distress.” The absence of worry or fear is precisely what the Tathāgata is. Liberation is devoid of [the emotional surges of] sadness and joy. Completely indifferent to the passing passions. There is nothing oppressive in liberation. Nirvanic Liberation never oppresses one in spirit—it is Luminous and Free. Liberation is what I call “an imperturbable dharma.” Things like enemies and friends—there is simply nothing like this in true liberation. Liberation is like this, it is utterly without “friends” in the usual sense, and even if one were to assert that it has friends, this would be untenable. Friendships (as well as former enemies) are made to be broken. In this sense Nirvanic Liberation IS NOT your friend. It is the very source of freedom from such ephemeral associations. In addition, I refer to liberation as “nonsubstantial,” but this does not mean it is indeterminate. “Indeterminate” refers rather to something like icchantikas. [Some think] icchantikas will never be shaken out of their state of mind, that anyone who commits a heinous crime is precluded from completing the path to buddhahood, but this view is unfounded. Why? Because if, in their hearts, such people can obtain pure faith in the Buddha’s true-dharma, they will immediately destroy [their status] as icchantika. Likewise, if one can become a layman follower (upāsaka), this, too, will mean the end of being an icchantika. Someone who has transgressed in committing a heinous crime can, after having eliminated his offense, go on to attain buddhahood. This is why there is no basis for the claim that people are fixed in who they are, that [their thinking] cannot change, that they cannot attain buddhahood. In true liberation nothing is completely exhausted. Dominant section of the Mahāparinirvāṇasūtra stating that even the icchantikas are not eternally incorrigible. When an icchantika, moreover, exhausts [what makes him so], he can no longer be labeled icchantika. What in fact is meant by the name icchantika? Icchantikas are those who have destroyed all wholesome karmic roots within themselves. Their original mindset is one that does not aspire to any wholesome dharmas, and they may even reach the point where not one wholesome thought occurs to them. In true liberation there is no one like this. In fact, it is precisely because of the absence of anything like this that it is true liberation, and true liberation is what the Tathāgata is. Hence, they CAN change their mindset. Thus, an unchanging Nirvanic Truth. Liberation is “boundless.” [Like space] liberation has no limits. The Tathagata does not lay his head down anywhere. In Its ultimate nature It Is ineffable. Liberation is “pure.” Like water without any dirt is pure and utterly clean, so too liberation is also pure and clean. Liberation is [synonymous] with Tranquility. Liberation is characterized by equanimity; Equanimity of mind is just what true liberation is, and true liberation is what the Tathāgata is. Once freed by the grace of Nivanic Liberation, there is no other place one would rather be, or possibly conceiving of being. No-Being-Ness. The other shore of Perfect-Suchness. Yea, likened to the Great Silence of Vimalakirti himself—In the Great Void (Mahasunya) totally [devoid] of the noisiness of the created order. In effect, the greatest of all answers to the mystery of Nirvanic-Suchness. Yea, laying one’s head down on the breast of the Tathagata is the ultimate ecstasy, one that the feeble sensate order can never offer. Liberation is the destruction and abandonment of all forms of greed. Liberation is deliverance AND a Refuge. The Ultimate refuge and Source transcending all fear and uncertainty. Liberation eliminates the darkness of ignorance. The awful pit of avidya is laid-waste. I call liberation “quiescence, singular and unique.” Like a solitary elephant, alone in an empty field—this is what liberation is like. I refer to liberation as “a dharma beyond this world,” for it surpasses all other dharmas. Liberation means abandoning childish behavior. Total abandonment of ignorant squabbling. The culmination of the All In All. I refer to liberation as “the pleasure of having something undone.” The pleasure of having something undone comes when craving, anger, and delusion are purged. Ah, the perfect freedom knowing that there is no-thing else need be done! A resilient distaste for samsara. True liberation is not something of which any human or deity could ever be the equivalent, and as such space is not its true analog either. I use space in order to transform living beings spiritually, [in effect] a disanalogy that I use as an analogy. What you should understand is that liberation is the Tathāgata himself, and the tathāgata-nature is liberation itself. This entry was posted in The Mahāparinirvāṇasūtra and tagged a single flavor, Icchantikas, liberation, mahāparinirvāṇa, Nirvanic Liberation, Tathatic Liberation, the hidden treasury. Bookmark the permalink.